Reliable: The change clip, gasket and the jet trench is pressed tightly, its jet tensile strength, the test pressure reaches 4.2Mpa, the temperature - 30°C ~ 100°C, the vacuum degree may reach 0.08Mpa; The gasket design is C, can form tertiary guard against leaking, the more pressure is in the internal, the sealing will be more better; The gasket fits different sealing material according to the fluid medium, the tubing, the temperature . It can be effectively separate the noise and vibration as its have some space at the end of the tube, the pipeline is not affected when thermal expansion or contraction. The hard sealing gasket also can absorb the noise and vibration. It’s easy for project budget and can save 20% of the total charge compared to flange connecting, the construction don’t need the power supply, oxygen, and fire. 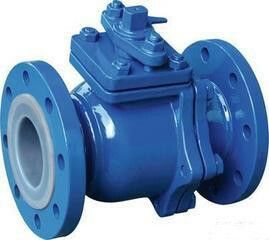 Because the original parts do not exist such problems: weld dregs , destruct the galvanization level and spread model level. It can guarantee the pipeline to be unimpeded. After connecting, the pipeline especially fire prevention spray system will not produce rust to jam the equipment because of other ways connection. The flange installment space compares the clip attachment is 3: 2. The clip attachment and the fittings may first carry on the installment, and can adjust the random orientation, the angle. Takes apart and washes only need to dismantle two clips, 4 bolts . are advantageous for the pipeline to extend, replace and rotate the direction. 版权所属 © 2006 山东天成阀门制造有限公司 Copyright © 2006 Shandong Tiancheng valves manufacture Co.,ltd.